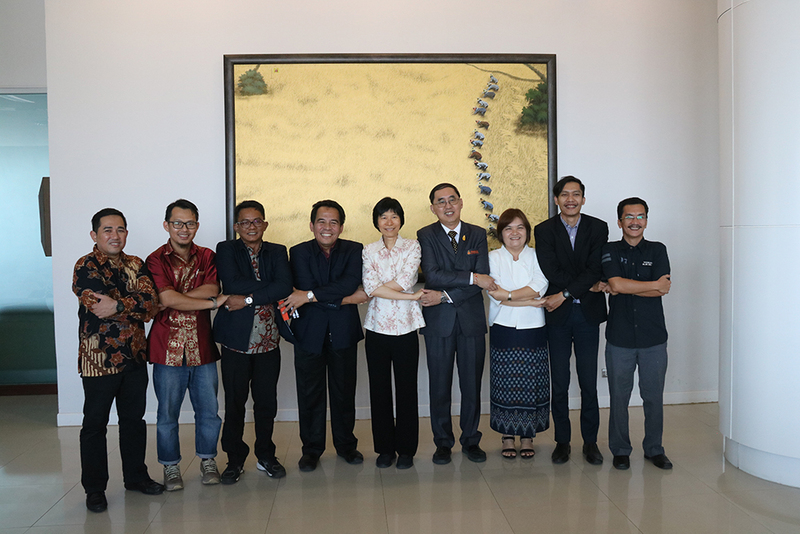 On December 6, 2018, Dr. Bambang Purwono and his team, delegations from the Directorate General of Resources for Science, Technology and Higher Education (DIKTI), the Republic of Indonesia, visited KKU for inspection on academic progress of DIKTI scholarship awardees during December 5-6, 2018. They were warmly welcomed by Assoc. Prof. Dr. Nawarat Wara-aswapati Charoen, Vice President for International Affairs and Prof. Dr. Surasakdi Wongratanacheewin, Dean of Graduate School and IAD staff. During the visit, they exchanged information and discussed possibilities for strongly expanding the KKU Active Recruitment Program in the Republic of Indonesia, and to establish and to strengthen academic & research collaborations, as well as student exchanges.The relation between KKU and DIKTI is very fantastic, and the Memorandum of Understanding (MOU) between both instititions will sign in the near future.